Over the past 6 or 7 years, I’ve had the privilege of testing, reviewing, and owning way more camera bags than I should. The equipment room in my studio at one point looked more like I imagine a Kardashian bag closet would look rather than a photographer’s gear room. I actually started selling off some of the ones that I either didn’t use anymore or have found others over time that I simply like better. It’s not so much that I have a thing for camera bags, it’s more of a problem that I have with saying no when companies reach out and ask if I want to test out and review their new products. Good companies, like Cecilia, that I know make quality products. 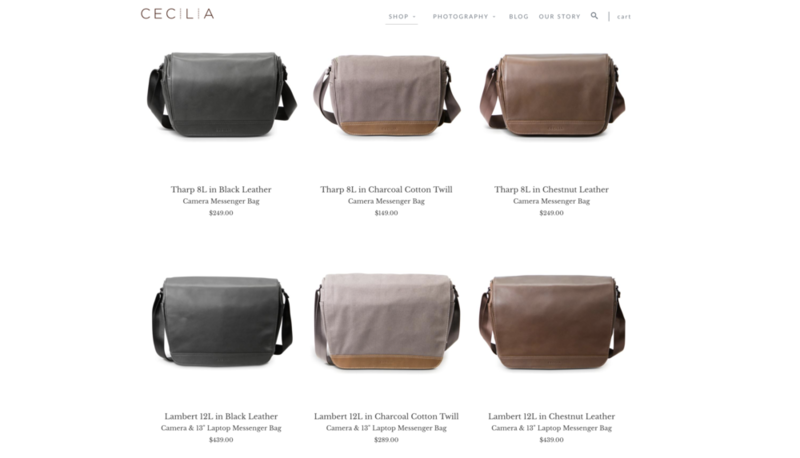 A bit of a backstory, I was initially introduced to the Cecilia product line through a photographer friend before they even had any bag designs completed. In fact, I believe they had just started designing a few concept ideas but nothing more than that. I did some research on the company and then reached out to the owner to introduce myself and ask if they would be willing to send me a few products to test and review. You can click HERE to read more about the products I tested and what I thought. If not, let’s just say I was more than impressed. Not only with the Alpaca Wool camera straps that had been their original product that caught my eye, but also a few of the others that I normally would have passed on. Products that both my wife and I are still using today. 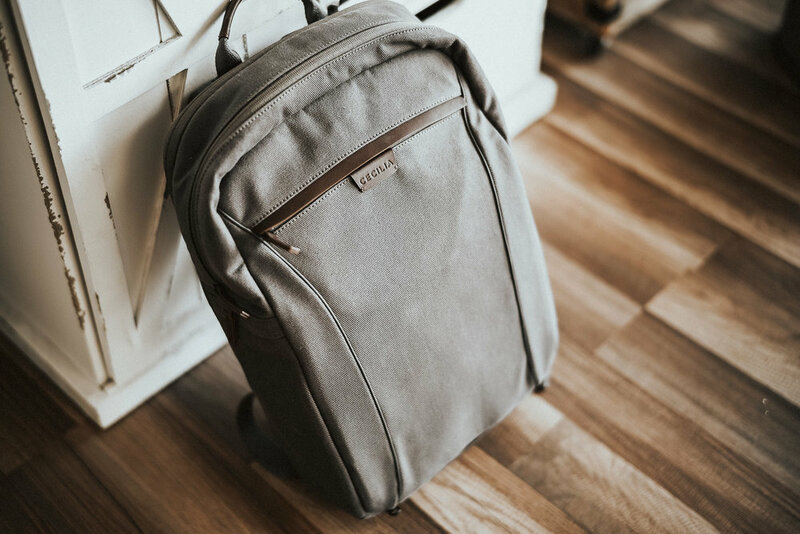 I spoke to the owner and founder, Michael Fleisch, at the time and he had mentioned a few camera bag concepts he was currently working on. When he explained the concept and what he had in mind I had just started using backpacks again, something I had gotten away from for years. Hearing that a backpack and messenger bag were in the works I was really hoping to hear back from him once he had the bags ready to go. Well, luckily I did, and here we are. So, as I started putting this review together, it dawned on me that I really should explain my process for bag reviews. If you were to go through all my gear reviews, where I also throw bag reviews, you won’t find me trashing any bags or writing negative reviews. I don’t just write up positive reviews for every camera bag or accessory that comes my way. I learned early on when I started doing these that I simply don’t want to waste my time testing out a bad product any longer once I know it’s one that I won’t ever use or that I’m disappointed in. If a product comes my way, outside of actual camera gear, that I don’t like or recommend I send it back and give the company my honest feedback directly in the hopes that they make the changes I suggest. You can see all of my gear reviews HERE. Depending on the job, or project, I tend to switch things up a lot when it comes to the accessories I use with my camera gear. I tend to either use a messenger bag, backpack style camera bag, single camera strap, or one of my Holdfast Moneymakers. Besides the bags that I’ve been sent to test and review, I have plenty that I’ve bought as well for either myself or my wife. Some have stayed and some have been quickly sent back. I basically carry a camera with me at all times, even when it’s just between home and the studio. I’ve been like that ever since I purchased my first camera and don’t see myself changing anytime soon. I use a couple of different backpack style bags as work bags, carrying my 15” MBP, iPad Pro, Leica M10P, along with a number of other items. I typically don’t use those for shooting, I like to keep them looking nice since I meet with clients at the studio. I have a few different bags that I like to use while shooting, messenger bags and backpacks, and some that I use just for carrying gear from one place to another such as airport rollers and Pelican cases. Since a lot of my weddings can involve a lot of hiking in the mountains or on large farm properties, to jumping from Uber to Uber in a big city, having options to choose from before each job is definitely something I can appreciate. Believe it or not, I have about 3 different backpack style bags that I use and beat up pretty good, 3 or 4 different messenger bags, and different camera straps for each camera that I shoot with. So, even though I have way more bags than I should, it’s often surprising to other photographers when they see how beat up most of them are. One thing about having the unique opportunity to test products like camera bags is that I get to try out all the different styles, pocket configurations, and material that each company uses. This has definitely helped give me a good idea of what I personally like, don’t like, what works and what doesn’t. I’ve tried some that have had stitching start to come loose within weeks, some that simply aren’t comfortable to wear whatsoever, and others that I thought were great products right out of the box that turned out to be poor quality and not be able to take a beating. I can honestly say that camera bags are probably one of the toughest products to review because it’s such an over-saturated market and it’s a lot like reviewing a pair of jeans. 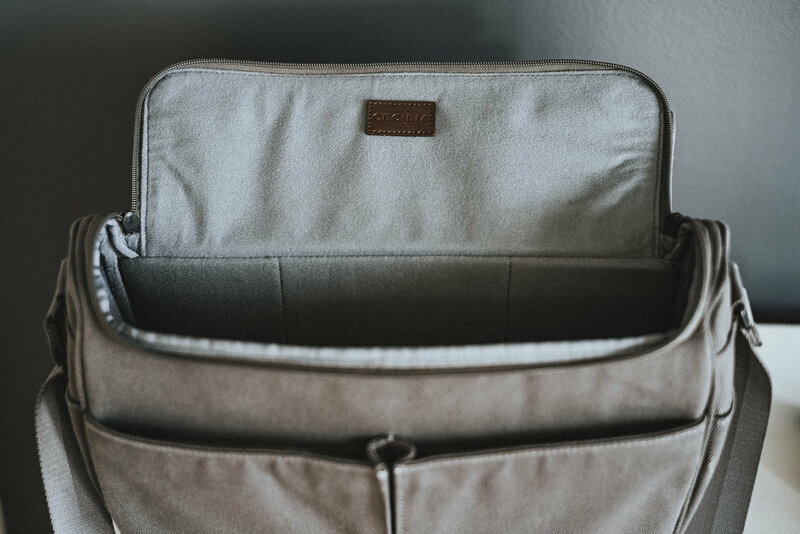 Personal taste and style play a big role in choosing a camera bag, but just like jeans, you don’t want them falling apart after you wash them a few times. 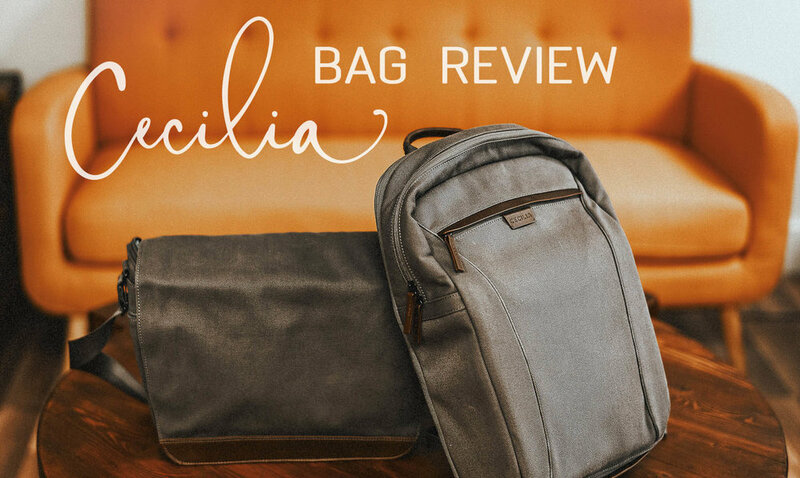 Basically, I’m going to tell you what I like and dislike about the two Cecilia bags I have and let you know some of my thoughts. I’ll keep it short and sweet since you can see by the photos what they look like and if these style bags are something you would be interested in or not. The Mercator is the 16L backpack camera bag that comes in a black and brown leather as well as the cotton canvas that was sent to me. Cecilia also offers a slightly smaller 14L design called the Humboldt which comes in the same options. While the look and design on the outside is quite simple, the inside is quite perfect. The 16L that I have holds a 15” laptop with a leather strap that snaps in place to keep it from accidentally sliding out. There’s just enough pockets and room to hold all the gear that I’ve ever needed to put in any backpack camera bag. Comfortable. Even with its very basic shoulder strap design, it’s more comfortable than most that have tried to get fancy with the design. Impressive pocket design. Some bags have way too many, others not enough, the inside design and pocket layout is done nicely. Easy to access and hide rain cover. Well made tripod or light stand pocket and strap. Not the sexiest looking backpack design, it’s quite simple and plain looking. Personally not a fan of the one and only cotton canvas color, but being that this is the first line introduction to a bag line from Cecilia I’m sure there will be more colors soon. Although, I don’t know for sure. The provided strap to hold a tripod or light stand is located inside a pocket. As you’ll see in the photos below, the pocket needs to be open when using the strap. Price is $398 for the canvas and $498 for the leather. The Tharp is the 8L Cecilia messenger style bag, which also comes in a 12L named the Lambert, in the same two leather colors and cotton canvas color. The Tharp and Lambert are like most messenger bags with a few unique characteristics. While ONA messenger bags use straps and buckles to close the top flap and ThinkTank uses velcro, Cecilia went with magnets strong enough to hold it closed. The EVA foam padding is also a nice feature, not only as extra protection for the gear inside, but also comfort. Weight: Light weight just like the backpack. Comfortable with a well padded strap. Sturdy and holds form really good compared to other messenger bags. Seems to be quite durable. Pocket design, just like the backpack is the best I’ve seen. Price is $149 for the canvas and $249 for the leather. A good price for one of the best made messenger bags I’ve used. No short strap for picking up, only the long shoulder strap. Same as with the backpack models, I’m not a fan of canvas color.